Today bears have a growing people-problem: their “backyards” are full of humans and people-provided food is everywhere. Discover practical solutions and real-world examples of how to prevent conflicts at home and at play so we can do a better job of sharing space with these intelligent, adaptable animals. "You have done a unique and powerful thing, bridging passion, science and practical management. 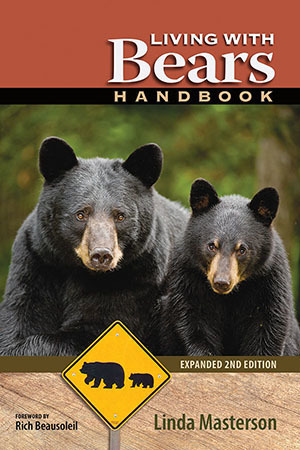 Your insightful, well researched and witty book will guide and inspire humans to live in greater harmony with bears." Linda has been a featured presenter at several International Bear Management Association and Human-Bear Conflicts conferences and workshops. She's a partner in marketing and communications firm Masterson & Phillips.